NEW DELHI: Senior Congress leader Mani Shankar Aiyar on Thursday apologised for using the word "neech" (low) for Prime Minister Narendra Modi but maintained that he had not referred to him as "low-born". "I meant low level when I said ' neech ', I think in English when I speak in Hindi as Hindi is not my mother tongue. So if it has some other meaning then I apologize, " he told reporters after his remarks in the morning triggered a political storm. The senior Congressman questioned why the PM was taking a jibe at Congress and Rahul Gandhi at inauguration of a Centre on Baba Saheb Ambedkar referring to Modi's comment during the event that parties seeking votes in Ambedkar's name tried to erase his contribution to nation building. "Everyday PM is using foul language against our leaders. 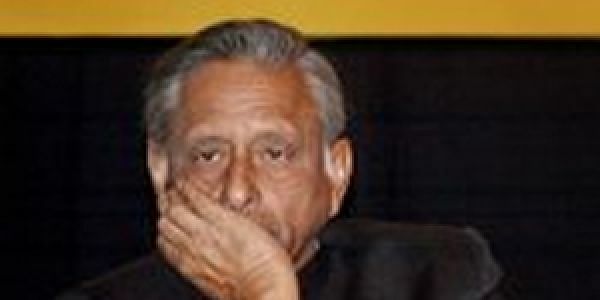 I am a freelance Congressi, I hold no post in the party, so I can reply to PM in his language,"Mani Shankar Aiyar told ANI. Aiyar also said that he was an ordinary worker of Congress who hasn't even been asked to campaign in Gujarat and asked why there is such a uproar over his comment.